I’ll start with Yuuhei Satellite. They have been productive, as you can say from their number of releases in this event. In RTS15, Yuuhei releases a single featuring two vocal tracks. 御伽噺のカラクリは、(The Fairytale Trick) will be the ending song for Fantasy Kaleidoscope Episode 11. I really don’t like how it sounds in the crossfade because I’ve listened to a better arrangement of Lunatic Princess from Yuuhei. 奥山ナマリ (Okuyama Namari) does all the arrangements and lyrics in this album. This is not his best though. For the first time, Yuuhei really arranges a track based on TH15. Two Clownpiece tracks! At least these two are worth to be excited for. Toa performs them as well. I like the vibe of it. The other track belongs to a Melonbooks bonus disc. 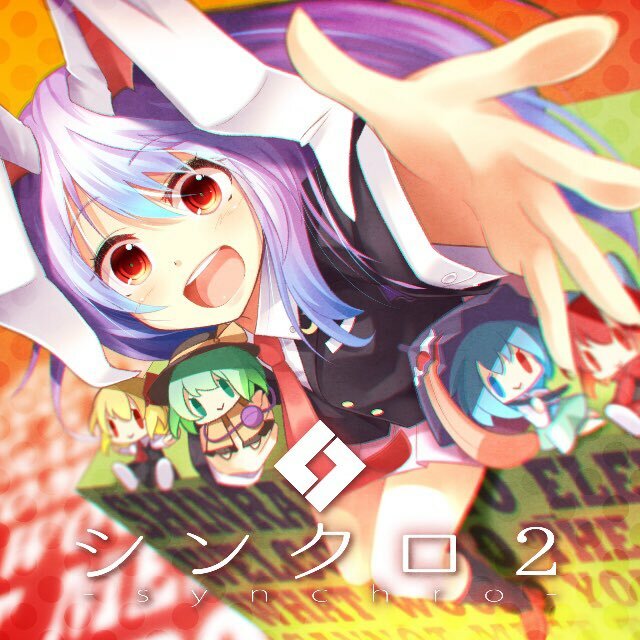 Shoujo Fractal… The album title is ‘odd’ to the illustration… “Moon” and “Suwako”… Probably the first thing pops up in your mind would be Reisen, Kaguya or anyone related to the Moon and The Lunar Capital. This time, we have Suwako with Native Faith. The concept sounds quite peculiar at first, but I hope it would be something more than I think. What catches my attention is the vocalist who teams up with Miya in the Utakata, Ai no Mahoroba cover ver.. Her name is 姫城碧海 (Himegi Ami) and she will work for Shoujo Fractal from now on! Great! I’ve loved her vocal tone already. Similar to Yuuhei, Fractal also releases a Melonbooks bonus album. The track is based on Stage 3 and Yoshika’s theme. Electronic and trance…? Sounds okay. I’m looking forward to Namari’s lyrics in The Walking Luck. 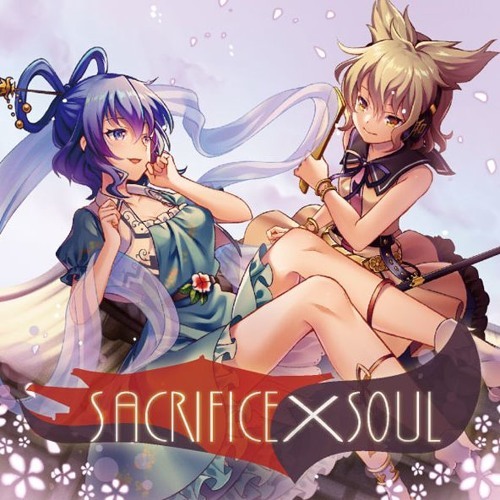 Seiga and Miko (aka my favorite characters in TD) are featured in this time Konpeki’s album! The illustration from にわし (Niwashi) is beautiful as well. Great job with the appearance, Konpeki! We have a new vocalist this time, her name is りむかいちょ (Rimukaicho). She is responsible for the 5th and 6th track. I don’t like vocalist with cute vocal tone when I was listening to 大佐渡☆めたもるふぉーぜ. But Last Order, suprised me with Rimukaicho’s neutral voice. The main track is performed by 美津紀 (Mitsuki) – my favorite vocalist in Konpeki. The Night Sakura of Dead Spirits arrrangement is good as well. I see they have improved in this album because I think the crossfade is really promising. This time, MUON goes with an album based on Mountain of Faith. There’s something different in the album title. Usually, the title would go with a romanization. But here, there’s only the romanization. 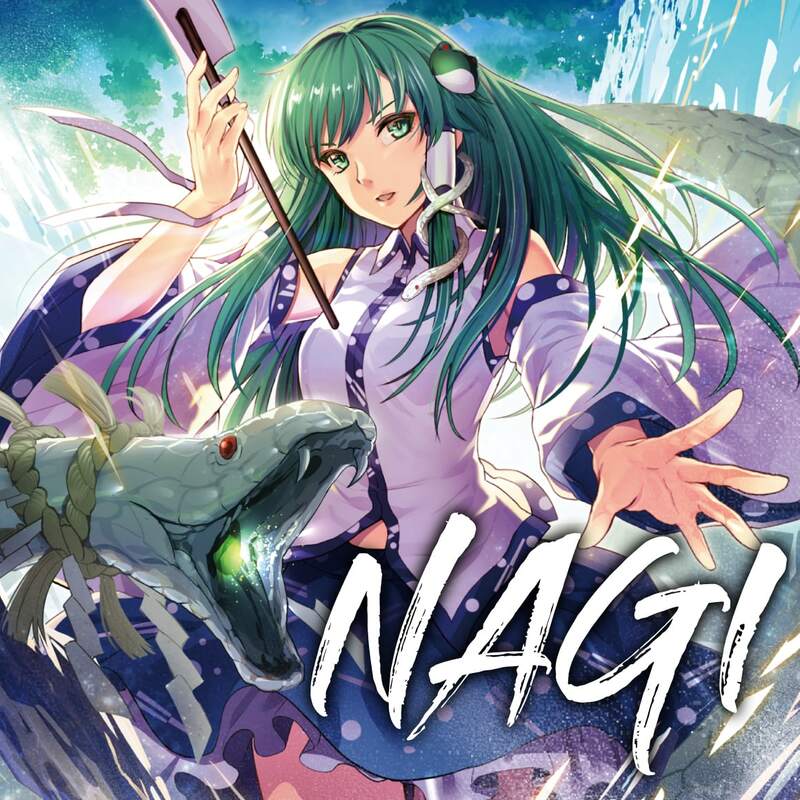 The title for this album would be 凪 -NAGI-. But, based on the message on the official site, it states that they want to use 凪 (nagi) to describe the calmness of the wind specifically (mean while 凪 only refers to calmness). Heads on to the music. It’s so good to enjoy Mai’s strong voice at the beginning of the crossfade! And it automatically becomes my favorite track! Being left a good first impression makes me excited to listen to this album. The album is various genres. There’s a ballad track based on Stage 3 theme I found very good. It shows that Mai’s voice versatile (but I prefer her singing strong tracks). The rest of the crossfade is fine. I’d mainly focus on the tracks that based on the originals I like in MoF. Âkatsuki didn’t go with TH15.5 arrangement album. It’s a usual album with many characters instead (quite similar to 少女‪救世論 (Girl’s Salvation Theory) last year). We have rock, piano ballad as usual. There’s one noticable track: Icicle fall Kitchen. It sounds pretty similar to IOSYS’s works where the vocalist will narrate very fast. I usually don’t like those kind of tracks. But, Icicle fall Kitchen makes me somehow like it and I’m sure I’m not know why. The overall XFD is pretty good. The second album from Akatsuki is a compilation of the Omake songs. Omake CD is a mini CD comes along with the main album, contains 2 tracks (in Akatsuki’s case). Some of the tracks here are remastered by Takeo Kira (from TEMAS). The tracks in here, I almost listened them all. BUTA goes with arranging a TH15.5 album. I love the design of the album jacket. Ranko no Ane always comes up with the most interesting illustrations. For the concept, 大貧民 (Extreme Needy) is a Japanese card game. The winner of the game will be called 大富豪 (Grand Millionaire) and the loser will be called 大貧民 (Extreme Needy). Based on this concept and the album artwork, it refers to the Yorigami sisters. In this album, there are other characters in TH15.5 as well. Comp arranges all the tracks. The overall tracklist is pretty neat. I’m glad to see a new song based on Yukari’s theme. For more information about the game, please vist here. Along with 大貧民 is an album featuring the witches trio. 魔女たちの音楽室 (The Witches’ Music Room) is a combination of 3 music room singles released on March 4th, March 25th and April 1st. This album has 10 tracks, comprises of 9 old tracks from the last singles and 1 new track , ‘outlast’. Nothing to say much about this, but I think I’ll listen to this album because of the concept. Visit Tiramisu Cowboy for more information! Six quality tracks, as always from Tim Vegas. And I’m pretty sure the number of tracks won’t change. But six? Pretty enough. 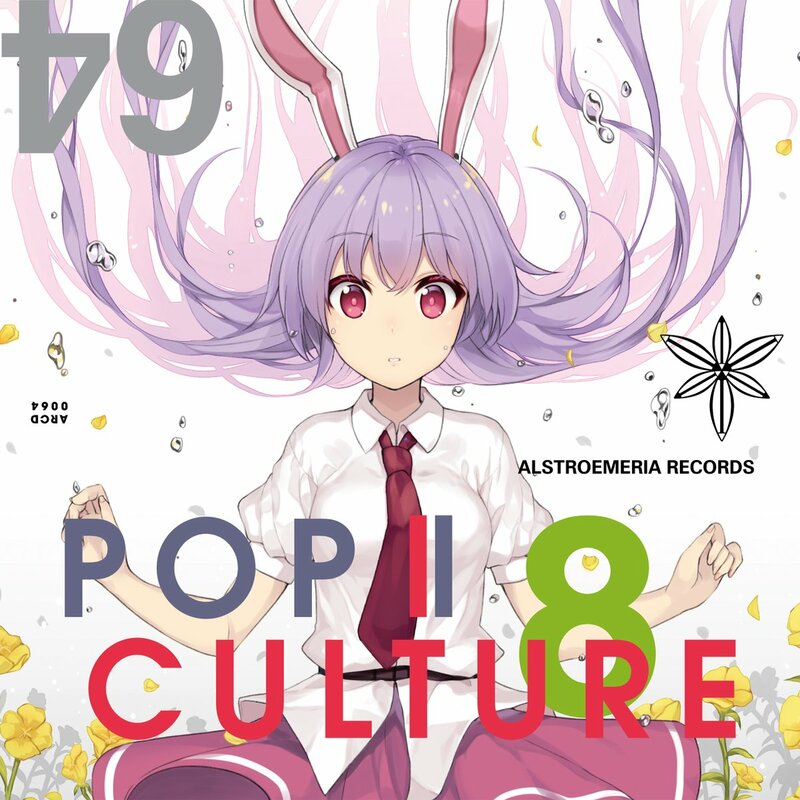 I think this album more than VAMPIRE KISS in C92. VAMPIRE KISS is a good one, honestly. But I’m fond of this more while listening to the XFD. ANTINOMY is an English track. Chen-U performs the track and it’s so good. I can feel the vibe of the song. I wish I could somehow find the lyrics for it. In the XFD, there’s millie too! I haven’t seen her in the recent Hatsunetsu’s album. It’s nice to see her back! 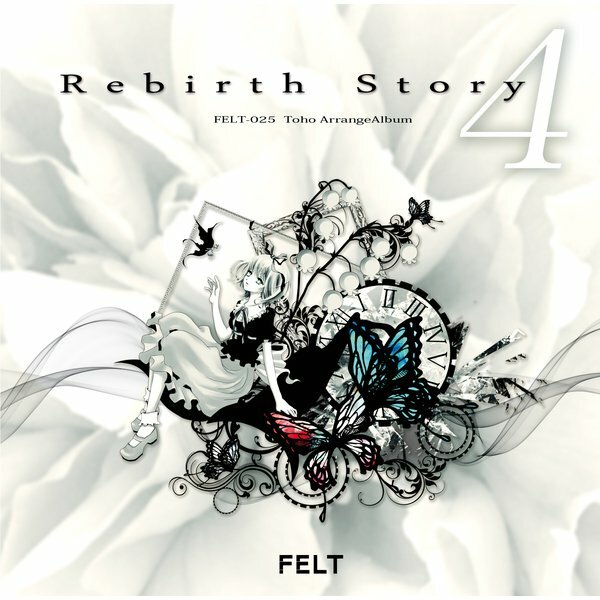 The fourth volume of Rebirth Story! There are 29 tracks (some of them have remix versions) along with 2 new tracks: COLORS and Dreamin’. ‘COLORS’ is very strong and impressive. I’d never think I’d llike a Forsaken Doll arrangement. And I love the way NAGI☆ arranged it. Good job! Most of the songs in this album I’ve listened to and I really enjoy them. Especially the tracks in ‘Flying Fantastica’, FELT impressed me a lot with the album. So, with an album like this, I’m looking forward to their C94 works. One more thing, Rendezvous would always be my favorite track from FELT. This album is all about the concept. Rei’s design really speaks out everything. Her artwork never fails to convey the concept! I don’t like the fairies in Touhou but that Cirno is so adorable! Based on what we have here, the concept somehow takes inspiration from “Alice in Wonderland”. There’s one Alice themed track in the XFD performed by ytr, Matsu and Rapbit. この場から is completely different from Game is Over. It’s less intense and more chill. 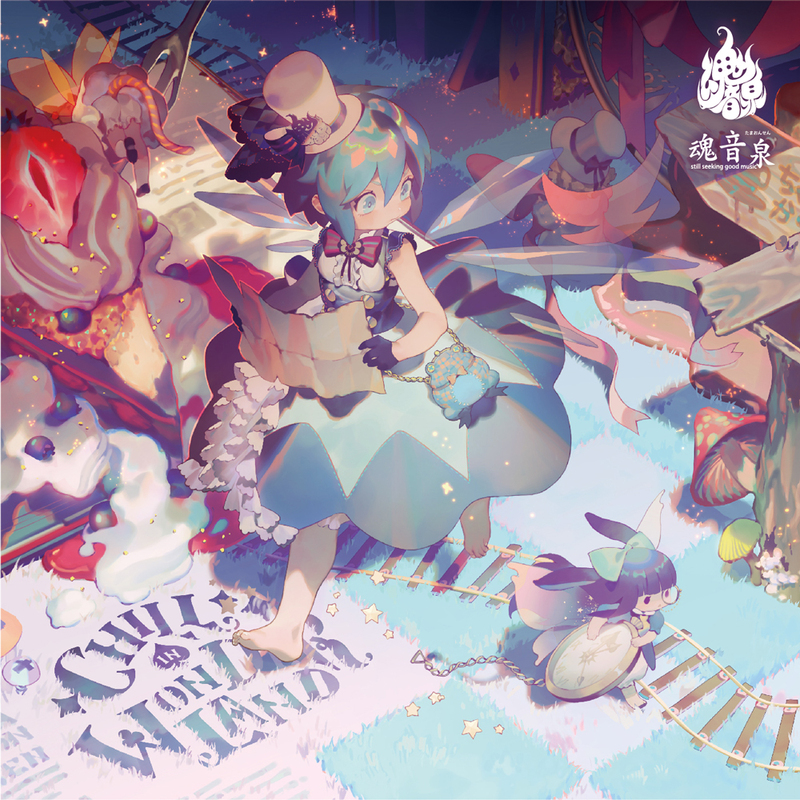 Uttenkekkou’s track is not so impressive, sadly… TINY PLANETS arranges some tracks here as well: the opening track, 夜桜ステップ and Chill In Wonderland. ‘Winds’ is quite similar to ‘Hands’ in the last C93 album. Both performed by Rabpit and AO. But for ‘Winds’, it is the second-to-last in the album and Matsu joins in as well. For Chill In Wonderland, it reminds me of Dear Rainy Days from STILLING. The song is arranged by TINY PLANETS. Other than that, I could hear a feminine voice in the track too. Dear Rainy Days also has someone with that vocal tone. I’m so happy to see AO again in this album. His career is blooming and his first solo album, ‘BLUE NOTE’, has been successful. In TAMAONSEN’s booth this RTS15, they will sell it too. Three. Consecutive. POP. CULTURE. album. For PC8, ayame is in charge of the lyrics for the vocal tracks. There are four new tracks with a remix version of lumière ambrée:. mikkico comes back in this album. “Magic of Shade” in PC7 doesn’t show much of her potential. With that said, I’ll have my eye on “Unrest Romancer”. The main track of this album is performed by nomico. It’s good, but not so impressive. I heard nomico’s singing some peculiar languages in the song, I’m curious for that. The final vocal track is a soft one. That’s a perfect end for this tracklist. In my opinion, the arrangement tracks are better, stronger than the vocals. The vocal ones are quite weak. My favorite instrumental track must “Warg” by Nhato. I love the beat and the drop. Tracy’s Back Again is good as well. And, ALST’s official site’s layout has changed too. It looks more neater. A second Synchro volume from Shinra-Bansho! The album features the songs released in minor Touhou events. Looking at the tracklist, I think I’ll like the album like the first volume. Most of the tracks in Synchro 2 are based on the originals I like. We have a new lyricist here, Caral. She (?) is responsible for the second and third song. ACTRock continues to support kaztora in the arrangements. For the tracklist, Ayaponzu* wowed me. I personally like Ayo more than her, but in this album, I’m slightly like her more. Especially in children’s game, I very love her strong voice there. We have 3 new tracks – track 2, 7, and 8. Also, 全力ハッピーライフ is so cute!!! Ayaponzu* has all my compliment here. And I’ll always love Ayo. In conclusion, I hope this Synchro album will be great like the first one. I’m excited to see Yonder comes back. Their last album is just a cover album. There aren’t any new contents to work on. There’s a highlight in this album. RD arranges and writes lyrics MARK OF SIN – the main song of this album! We haven’t had a Clownpiece arrangement since -kakage-. The arrangement is good (as always). But the problem is the vocalist. 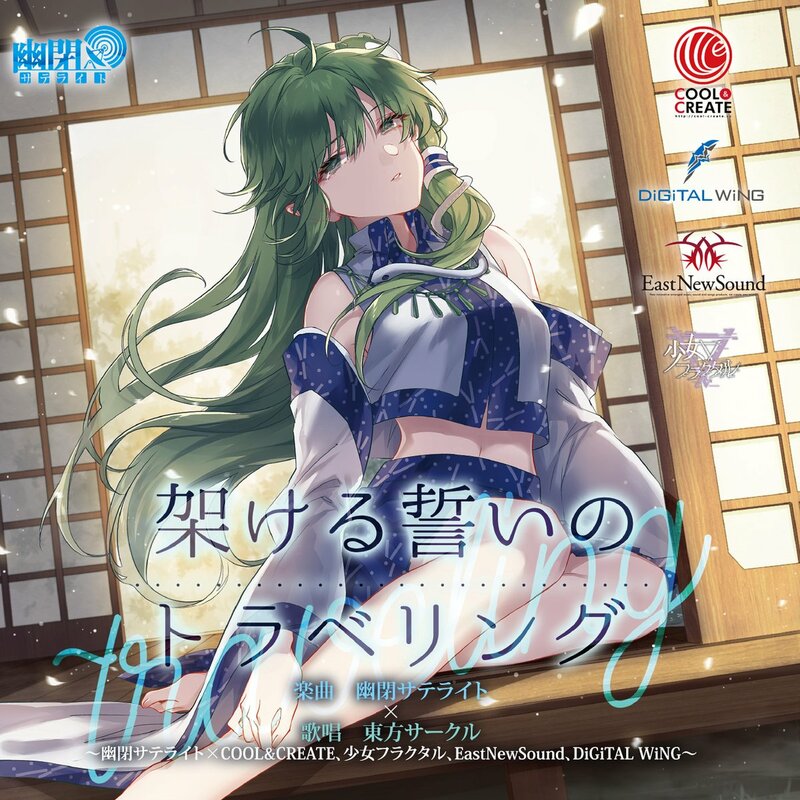 I really don’t like Yaoshan sings for RD, because her Kaze no Uta cover is quite let down. I will always keep my opinion about Yaoshan only goes well with electric-like genres, unless MARK OF SIN would turn out good. The rest of the crossfade is fine. We have some Touhou 16 arrangements this time. I’m very excited to see Anzu Sora’s works in this album. I’m very fond of her lyrics. For the TEB (abbreviates for Toho EuroBeat) album, similar to MUON KAGURA, this time is based on MoF as well. Like I’ve said, I’ll focus on the tracks I like based on the originals. 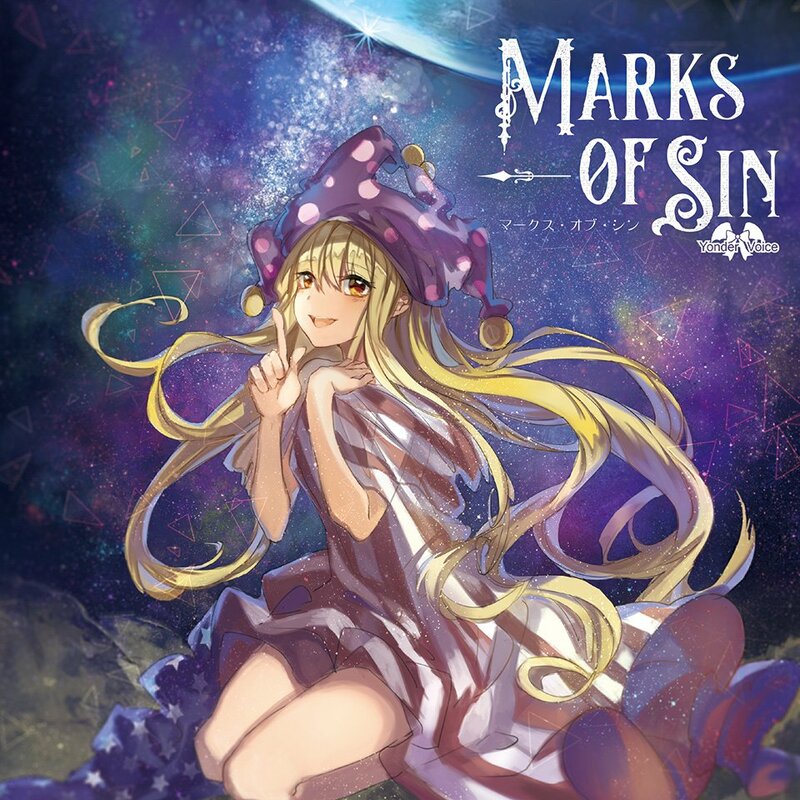 Rute and Aki continue to shine in this album. There are other duets such as Napoleon (from TsuBaKi) and Aki. They sounds good. The other pair is Rute and Ayaponzu from Shinra-Bansho. I honestly like the other duet. Rute goes well with Aki and I’m not changing my mind about it. The tracklist is arranged orderly from Stage 1 to the score theme. Nothing say much about this album. The next album is the noticable one. It’s a collaboration!! I’ve been waiting for A-One to collab with TAMAONSEN and BUTAOTOME since they go on lives with each other very often. It’s even better to see Akatsuki and ALST contribute in this album as well. “Scream out!” is A-One’s hit aka most popular song. So, this “Tribute Party” album features other circles remixing and covering this song. I have to say I like the TAMAONSEN version most because when they went live in “VERSUS“, that version is so damn lit. Although the version in the album may sound a little bit different, the vibe is there and I’m still hyped up like usual. Akatsuki’s version becomes purely ‘Akatsuki-rock-style’. Stack really shows what her voice has. I didn’t expect Paprika to remix the song. It becomes a half-piano version. But overall, nice job! You could see Yuuhei is down here again since they are having a collaboration CD! We have COOL&CREATE, DiGiTAL WiNG and EastNewSound here. Honestly, I’m not fond of the two COOL&CREATE vocalists. However, the rest of the XFD sounds better. Murasaki Hotaru and Yuuhei? Doesn’t sound so bad. I don’t listen much to DiGiWiNG but Sorane did a good job in singing Yuuhei’s arrangement. Is it me or I find that Hotaru and Amane sound pretty alike? Along with the collab tracks, we have a cover from Toa and two image songs. 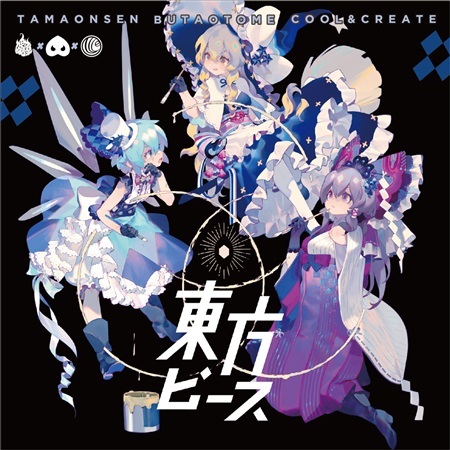 TAMAONSEN teams up with BUTAOTOME and COOL&CREATE. This album is a part of their live (“Three-Man Liveshow”) in this June. The schedule is included in the official site. There are 4 different tickets with differents offers. Right. For the crossfade, I probably like the them all, especially the tracks which features BUTA and TAMA. I’m keeping my eye on Sign and 永遠に続く夢 more. C&C sounds much better than they do in the Yuuhei collab. This trio is quite good. The arrangements are there. The vocalists are okay, about 7/10. The Clownpiece track sounds nice and the main track 東方ピース (Touhou Peace) are noticable. This “Grimoire for Marisa” is a collaboration between 12 illustrators. 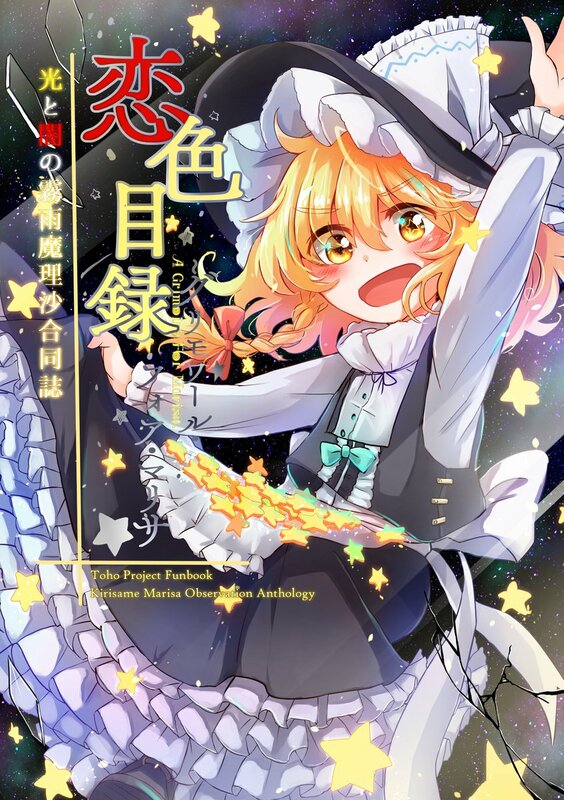 Eleven of them will contribute a doujinshi which features Marisa and a Touhou character. And, for your information, RD participates in this project! He provides two vocal arrangements based on “Love-colored Master Spark”. 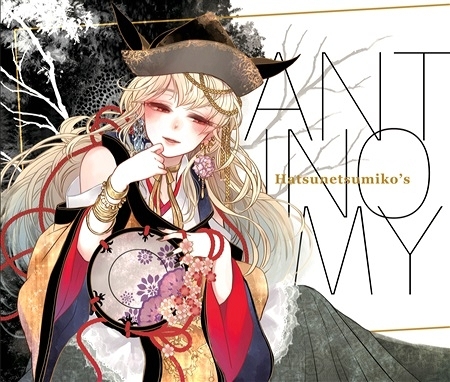 The artworks for the two tracks are illustrated by はなだひょう (Hanada Hyou) and とらん (Toran). Toran is the head of this project. If you are a fan of Marisa and love seeing her with other characters related to her, I think it’s worth to buy it. With that said, I’m hoping something big in Comiket 94. I think I won’t pay much attention to this event. But, that would depend on many stuff. I’ll focus on C94 instead. Comiket 94? Sounds quick eh? Only 3 more months to go! More like third time because Yuuhei and Fractal arranging Junko’s theme for Yuuhei and Ringo’s theme for Fractal (although the song itself still exclusive for Groove Coaster). I didn’t know that because I didn’t see them having any announcements about it (or maybe I just missed it or didn’t remember). Which albums are those tracks you mentioned from? For “Pure Furies” vocal arrange, it’s titled 胸の中で誰かが with Toa as the vocalist. It is the second track from 無謀さえ美しく、華さえ灰になる, released on Reitaisai 14 last year. Thanks so much for reminding me!! Amane is from Rolling Contact. Sorane is the new vocalist for Digital Wing.